The Black Church in the U.S. Neither justifying the black man’s faults, nor attempting to make the white man a scapegoat, the author surveys the history of the black man in America and relates his religious life to the total environment. He charts the beginnings of the black church, the sending of black missionaries, and the black’s contribution to American religious life and music. 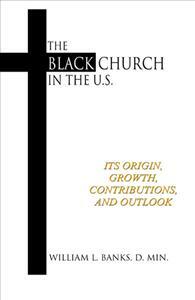 The author then responds to many issues related to the black church, including ‘Black Power’, black theology, civil disobedience, and increasing apostasy.